Saint Seiya Symphonic Adventure is a full-immersive concert with the music from SAINT SEIYA series, all completely synchronized to cutting edge video screen, lighting and special sound effects from the series. 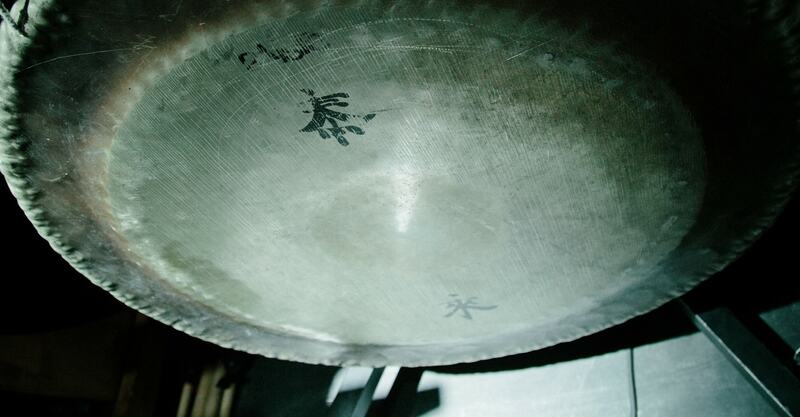 An original production created and produced by Overlook Events, under the concept Narrative Symphonic Experience. Masami Kurumada’s work became a worldwide phenomenon with over 40 million volumes of the comic book sold, considered one of the biggest licence in Japanese manga and animation industries. Saint Seiya is now part of the world as a cultural whirlwind: animated series, OAV and films, videogames and other merchandising products were made from it, with a brand new Netflix original series for a world release. 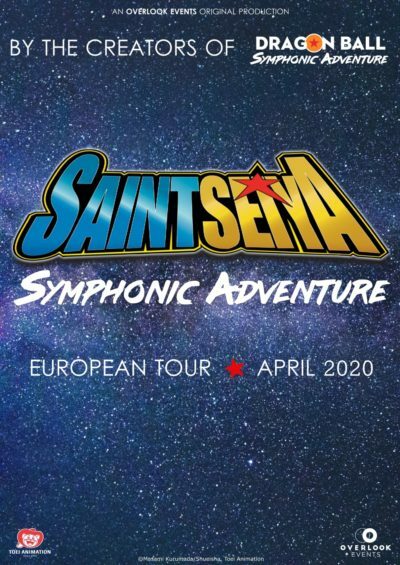 Saint Seiya Symphonic Adventure revisits the entire sagas of the original SAINT SEIYA animated series with a full orchestra and rhythm section, HD images on a large screen and special effects. 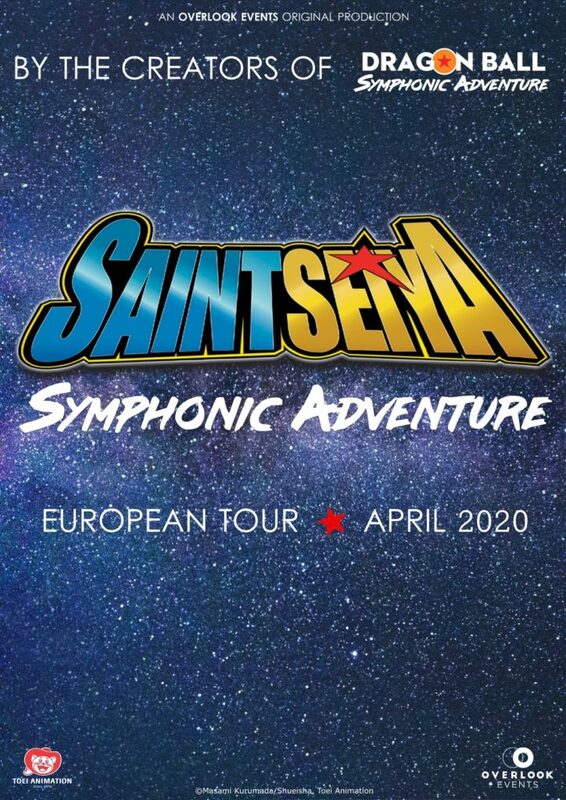 It is our honor to greet a very special vocal guest to this concert tour, who will performs on stage the songs from SAINT SEIYA: Pegasus Fantasy, Blue Forever, Soldier Dream, Traverler Dream and others!